Every woman can tell you that they don’t put makeup on for others, they put it on for themselves. Many woman battle a sigma as the older they get when it comes to makeup, some fashion industries are for and some are against the type of makeup senior women should be putting on. Cindy from Ohio went to the Makeover Guy to get a brand new makeover so she can feel good about herself on her 60th birthday. After receiving a makeover from Christopher Hopkins, listen to what her husband has to say and it will melt your heart. 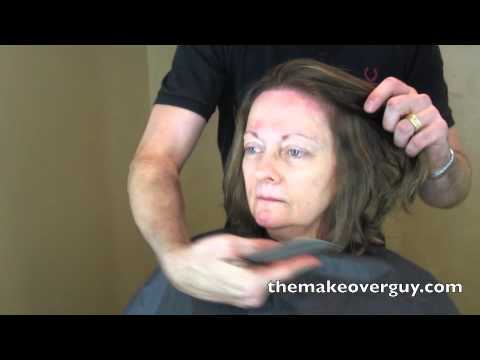 MAKEOVER: A Blank Canvas, by Christopher Hopkins, “The Makeover Guy®"